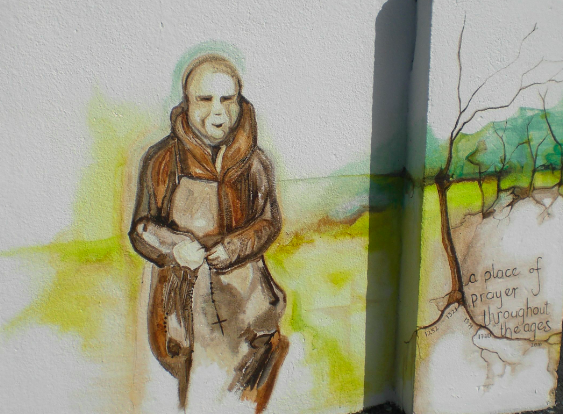 Each year there are numerous visitors to the ruins of Kilnalahan Monastery in the village of Abbey. Some are seriously interested in the history of the place and the excellent book ‘The Abbey of Kilnalahan‘ by Frank Burke is recommended to them. Others have a more casual interest but would like to know when the monastery was occupied and by whom. 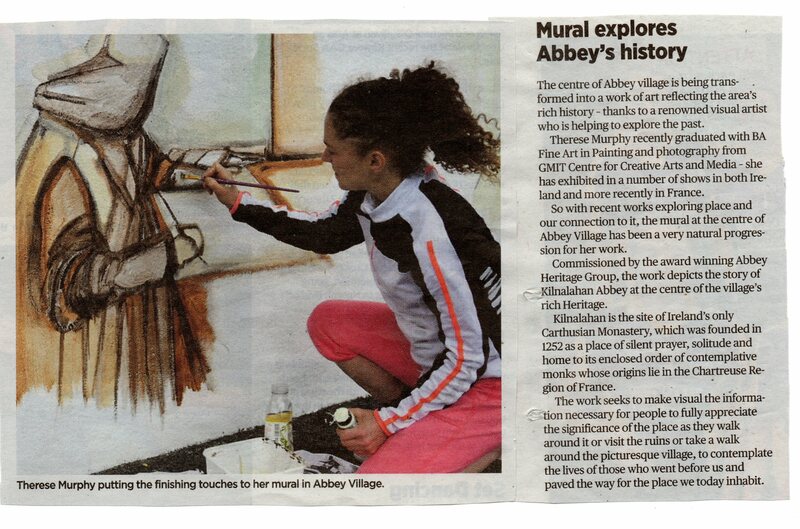 To answer this question Abbey Heritage Group invited local Visual Artist, Therese Murphy, to paint Kilnalahan Mural. This depicts the history of the foundation. There has been a very positive response to this work as information on the history of Kilnalahan is given at a glance.